Please start chat only for sales enquiry. For support chat please login into your client area and then initiate the chat. SelfManaged.in is a low cost Dedicated Server, VPS and Cloud service delivering system developed by EverData Technologies Pvt Ltd.
We offer closed out server deals of EverData at this site. The servers are perfect and you can run your site/ services very well on this. Only important thing that you need to keep in mind is – The servers offered here are not Managed. That means Everdata team will not offer FREE Support for the server software management and configurations. 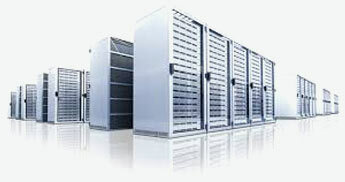 We as a datacenter will still offer Free support that is related to server hardware or network related issue. But for other support things (like custom configuration of Apache/MySQL or IIS etc) you need to pay small management fees. The Minimum amount is Rs. 130/- for such support incident. EverData is a leading data center, cloud solution provider, and IPV6 consulting company in India that is focused on meeting the rapidly growing data demands of India’s Digital Revolution. EverData has established Rajasthan's first privately owned Tier III level data center and launched the Hindi Cloud, the first cloud solution that is fully translated in Hindi and provides data sovereignty to Indian businesses and organizations by enabling them to host and keep their mission critical data in India and away from international governments and corporations. EverData's flagship data center is located in the city of Jaipur which is in one of India's safest rated zones from natural disasters. This beneficial location makes EverData ideally suited to provide disaster recovery and business continuity services. India’s internet user base is estimated to grow from 250 million to nearly one billion users within the next 10 years. This tremendous growth in internet users is great for the Indian economy, but the problem is that most of India's 50 million+ businesses and organizations do not have the time, expertise, and/or capital required to setup and maintain the infrastructure required to host the data, software applications, and websites that are critical to their success. EverData Technologies Pvt. Ltd. provides a quick and easy solution to this problem by providing turnkey data infrastructure solutions that are low cost, fast, secure, and reliable with a 99.98% uptime guarantee. EverData solutions include public and private cloud, VPS and dedicated servers, colocation, disaster recovery and business continuity. EVERDATA Technologies Pvt. Ltd., has accumulated several accolades and recognitions, including: certification of quality service (ISO 9001:2008), certification of highest level of security (ISO 27001:2005), ISMS certification, and ISO/IEC 27001 (BS 7799). In addition, we are compliant with payment card industry data security standards (PCI DSS) defined rules and regulations promoting secure online payments and transactions. These certificationsare the statements that confirm the company's commitment to quality, efficiency, and competence. Additionally, they authenticate that our facility's management system is anchored on a systematic business risk approach that is essential in implementing the best data center operation standards, relevant towards providing the highest level of customer service possible.